This recipe was born out of guilt for not having blogged anything for Halloween and out of my not wanting to waste any of the lovely Greek yogurt that Total so kindly sent me. Having seen all the beautiful creations already on the web I knew that my limited cake decorating skills were not going to be of any use and decided to go off piste so to speak. 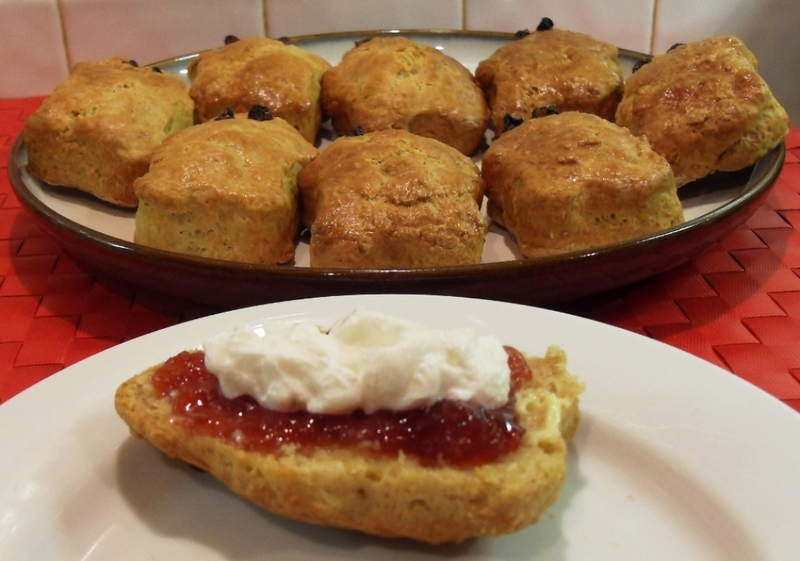 I researched scones made of yogurt and found this one (click here) which came from a book called “Stand By Your Pan: Country Music Cookbook” by Diane Pfeifer. I have adapted this recipe and ended up with what the whole family said were a cross between a scone and a roll, hence the Scroll came to be. Don’t laugh this could catch on! They are best enjoyed fresh out of the oven still warm but are very nice toasted the next day too! 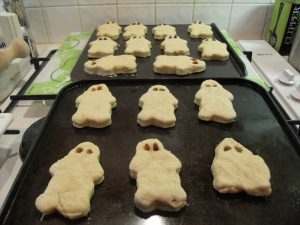 I put half my batch in the freezer and we’ll have them for a Halloween breakfast before we set about turning our front window and door into a Halloween Shrine. Here’s a picture from Halloween 2010 when my son still came trick or treating with us! I think I have almost as many Halloween Decorations as Christmas decorations as I’ve been like a magpie each year buying up all the sale stock. I never celebrated Halloween as a child as it wasn’t really fashionable back then but when I had children I couldn’t wait for them to get involved when I saw how much other children loved it. My pumpkin carving is also improving with each year that passes! Put the dry ingredients and cold margarine in a bowl. Cut in margarine with a knife. 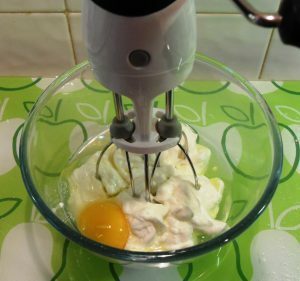 Whisk the egg and greek yogurt together. 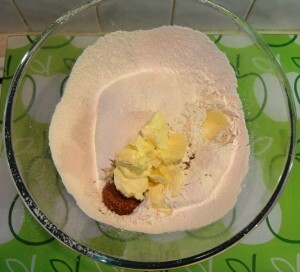 Add this to the flour mixture and mix to form a dough. Roll dough out and cut with shape cutter. Add the sultana eyes and egg wash then bake. We had home made Strawberry Jam but I can imagine marmalade would be great too for breakfast! I decided to try full fat greek yogurt as a clotted cream substitute and it’s something I would do again. What do you get when you cross a scone with a roll - a scroll. Fresh out of the oven have buttered with jam or toast the next day to have for breakfast with marmalade! 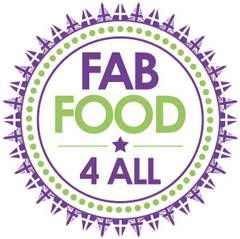 Sift the flour, baking powder, bicarbonate of soda and salt together in a large bowl. 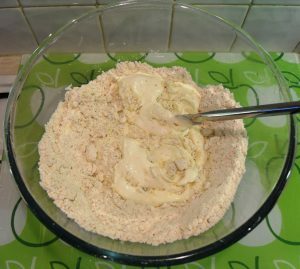 Add the cold margarine and cut into the flour using a fork or pastry cutter until the consistency of breadcrumbs. In a smaller bowl beat together the yogurt and 1 egg. 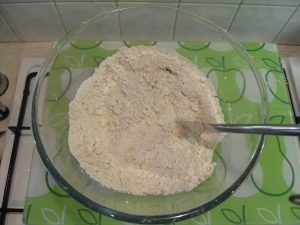 Add to flour mixture, stir together with a knife and finally combine to form a dough with your hands. On a floured surface roll out to about 1.25cm / ½ “ thick. Use a gingerbread cutter (or any shape you want) to cut out about 16 shapes. Decorate rolls with sultana halves for the eyes. Beat remaining egg and use to glaze with a pastry brush. 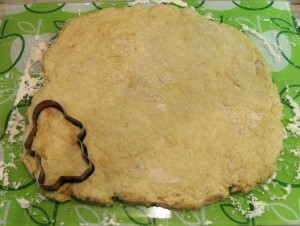 Bake in the oven for 10 – 12 minutes until risen and golden. Cool a little on a wire rack and enjoy warm with butter and jam. NB: I was sent the yogurt after some banter on Twitter where I did my usual thing of picking up on a missed detail, I somehow ended up getting sent some yogurt with no obligation on my part but to “play with it”! Hey these are brilliant, my little man and I can give these a go today. Ha Ha Brilliant! Could give these to trick-or-treaters! Never head of it yum!! 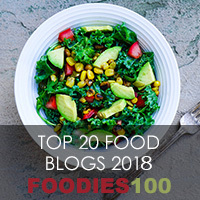 !never heard of them yum! 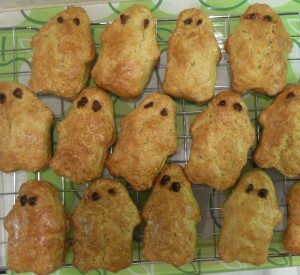 They really are quite spooky and look delicious. will have a crack at these over the weekend. They look lovely.